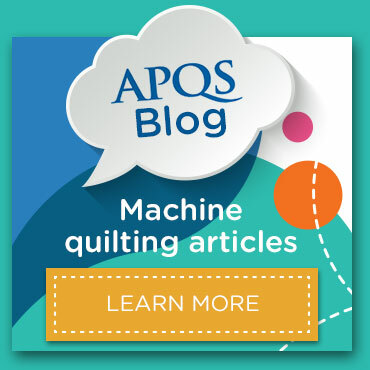 Enter once every day for your chance to win an APQS Millie longarm quilting machine, valued at $19,700, and to win one of our monthly APQS Quilting Gift Baskets. The grand prize winner will be selected at random on Friday, May 31, 2019 after 5 p.m. CDT. The actual winner’s name may not be immediately announced but the announcement that we have a winner will be made as soon as we make contact with the winner. We will announce the winner’s name after the winner has signed the winner affidavit form and received their new machine. Enter online. You must fill out the registration form for your first entry. You can enter with only your email address daily for subsequent entries. The email entry option re-opens at midnight in the respective time zone of the entrant. Enter via mail by sending an entry to the mailing address listed below. See details below. You can enter once per day, regardless of the method of entry you choose. There is no purchase necessary to participate in this giveaway. Duplicate entries on the same calendar day will lead to disqualification from the contest. Entry: To enter for the giveaway, you must complete the form online at http://www.apqs.com/shopping-tools/giveaway/millie/. There are three ways to enter the giveaway: (1) online, by visiting the APQS website and completing the form and clicking the submit button (limit one online entry on the APQS website, per eligible person with a valid email address per day. Note: The email entry option re-opens at midnight in the respective time zone of the entrant.) For your initial entry, you will be asked to provide your name, email address, phone, address and if you would like to sign up to receive emails from APQS; (2) by mail, by hand-printing your name, complete address, email address and date of birth either on a postcard or on a separate piece of paper no larger than 8½ x 11 inches, and mailing the postcard or paper in an envelope with the proper postage affixed to: APQS c/o “APQS Quilt Forever Contest”, 23398 Hwy 30 East, Carroll, IA 51401 USA. Entrants using U.S. mail may enter one postmarked entry per day. Mail-in entries must be postmarked by May 24, 2019 and received BEFORE May 31st, 2019. Limit one (1) entry per stamped outer envelope. Mechanically reproduced or hand-stamped entries or mailing labels or entries generated by script, macro or other automated or mechanical means and entries by any means, which subvert the entry process, will not be accepted. Incorrect, illegible, corrupt, and incomplete entries are void; (3) by filling out the registration form at an APQS booth at a tradeshow. All entrants must be 18 years of age or older. This contest will end May 31, 2019 at 5 p.m. CDT. All contestant information shall be used solely by APQS. No contestant information will be sold, shared or given away. Entrants consent to use of his/her name, city, state, photograph and video for editorial, advertising, promotional and publicity purposes without further compensation except where prohibited by law. All eligible entries received will be entered in the grand prize drawing and monthly prize drawing. When you enter online, you may be asked to consent to receive promotional emails and reminders from APQS. 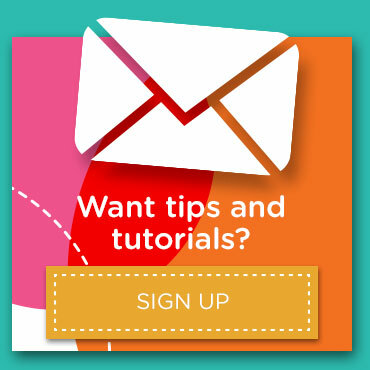 Consenting to receive such emails is optional and does not have to be agreed to in order to be eligible to enter the giveaway and does not improve your chances of winning. Winner selection: Grand prize – One (1) potential grand prize winner will be chosen by APQS in a random drawing (using Random.org) from all eligible entries received during the entire entry period on May 31, 2019. The potential grand prize winner will be contacted either by phone, email, in writing, or in person via an “ambush style” visit by APQS representatives at the grand prize winner’s home or other location between June 3-14, 2019 (subject to change). The potential grand prize winner may be filmed or recorded during or otherwise on such visits. The potential grand prize winner will be required to execute an affidavit of eligibility and return same, fully-executed, within five (5) days of date of issuance of prize notification. If APQS is unable to contact the potential grand prize winner within five (5) days of the initial attempt, if the potential grand prize winner fails to return all requested forms fully-executed by the specified date, or if the potential grand prize winner fails to comply with these official rules, his/her place as a possible grand prize winner will be forfeited at APQS’ discretion, and an alternate grand prize winner shall be selected. Monthly prizes: Three (3) potential monthly prize winners will be selected in monthly random drawings during the sweepstakes period, with one (1) winner being selected at random from all eligible entries received by 5 p.m. CDT the last day of the month. The monthly prize drawings will be held on the following dates: March 1, 2019, April 1, 2019 and May 1, 2019. Only one (1) monthly prize winner will be selected in each monthly prize drawing. Each monthly prize winner may be required to execute an affidavit of eligibility and return same, fully executed, within five (5) days of date of issuance of prize notification. If APQS is unable to contact the potential monthly prize winner within five (5) days of the initial attempt, if the potential monthly prize winner fails to return all requested forms fully executed by the specified date, or if the potential monthly prize winner fails to comply with these official rules, his/her place as a possible monthly prize winner will be forfeited at APQS’ discretion, and an alternate monthly prize winner shall be selected. Monthly prize winners are eligible to be the Grand Prize Winner. Prizes: Grand prize: One (1) grand prize winner shall win the grand prize, which consists of one (1) APQS Millie longarm quilting machine, valued at $19,700. The grand prize winner will be responsible for the payment of shipping and all taxes. Monthly prizes – Three (3) monthly prize winners shall win the monthly prize, which is an APQS Quilting Gift Basket. Eligibility: The APQS Quilt Forever Contest is offered worldwide to individuals who are 18 years of age or older at the time of entry. Employees or representatives of APQS and their advertising agencies, including their immediate families, are not eligible to enter. APQS will not be responsible for late, misdirected or lost entries or for any computer, online, telephone or technical malfunctions that may occur. The authorized account holder of the email address and the entrant must be the same person. Authorized account holder is defined as the natural person who is assigned to an email address by an Internet access provider, online service provider or other organization (e.g., business, educational institution, etc.) that is responsible for assigning email addresses for the domain associated with the submitted email address. All entries become the property of APQS and will not be returned to entrant. General Conditions: Entry materials that have been tampered with or altered are void. If, in APQS’ opinion, there is any suspected or actual evidence of electronic or non-electronic tampering with any portion of the sweepstakes, or if computer virus, bugs, unauthorized intervention, fraud, or technical difficulties or failures compromise or corrupt or affect the administration, integrity, security, fairness, or proper conduct of the sweepstakes, APQS reserves the right at its sole discretion to disqualify any individual who tampers with the entry process and void any entries submitted fraudulently, to modify or suspend the sweepstakes, or to terminate the sweepstakes and conduct a random drawing to award the prize using all eligible, non-suspect entries received as of the termination date. Duplicate entries in a 24-hours period are considered fraudulent and will result in disqualification from the contest. Should the sweepstakes be terminated prior to the stated expiration date, notice will be posted on the APQS website. In the event of a dispute as to the identity of the potential grand prize winner or monthly prize winners based on an e-mail address, the winning entry will be declared made by the authorized account holder of the e-mail address submitted at time of entry. “Authorized account holder” is defined as the natural person who is assigned to an e-mail address by an Internet access provider, online service provider, or other organization (e.g., business, educational, institution, etc.) that is responsible for assigning e-mail addresses for the domain associated with the submitted e-mail address. Such Authorized account holder will be required to comply with these official rules. This contest is governed by the laws of the United States and is void where restricted or prohibited by law. All federal, state and local laws and regulations apply. All taxes, fees and surcharges on prizes are the sole responsibility of the prize winner. Return of any prize/prize notification as undeliverable will result in disqualification and selection of an alternative prize winner.